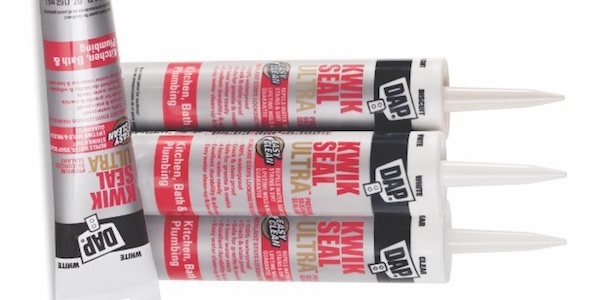 Kwik Seal Ultra from DAP is a siliconized bath and kitchen sealant formulated with ultra hydrophobic technology designed to repel water, soap scum, stains and dirt so mildew can’t grow, stains won’t stick and dirt rinses off. It’s also backed by a lifetime mold and mildew guarantee for the sealant to stay looking clean, fresh and new. Kwik Seal Ultra is designed to be easy to use. It applies smoothly, is low in odor, cleans up with water and is water ready in four hours. The product is said to provide a durable, waterproof seal around sinks, showers, tubs, backsplashes, countertops and fixtures.